Few businesses would turn down the opportunity to improve their customer service and quality levels, while also getting a guaranteed return on investment. However, SMEs could be doing just that by rejecting Lean Six Sigma methodologies on the basis that they are solely the reserve of big business. 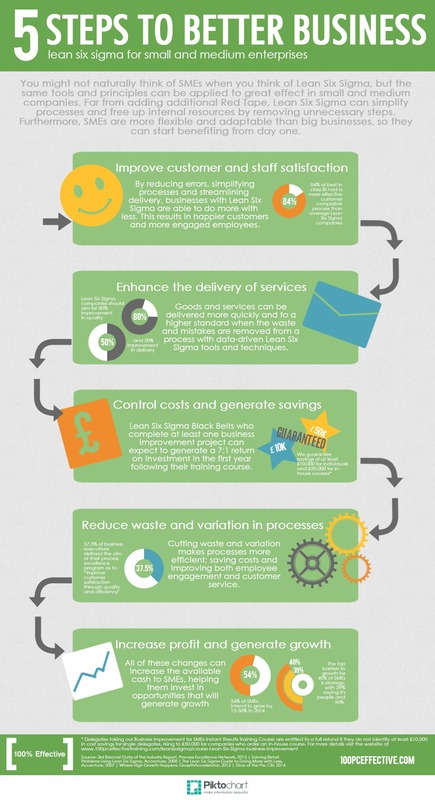 Although SMEs may not need the complete Lean Six Sigma toolbox, our new infographic explains how implementing a selective approach to the methodology can be instantly rewarding. If you liked this, why not read more about Lean Six Sigma for SMEs in our feature article or check out our most popular infographic ever.